By administering energy in controlled, coherent pulses, physicians can use electromagnetic pulse therapy to treat wounds, chronic pain, and alcoholism. While research supports the benefits of this type of therapy when performed by professional physicians using clinical instruments, it does not support claims that electrotherapy mats and home devices effectively treat soft tissue pain. This article, then, looks only at professionally administered therapies. Low-intensity direct current (LIDC) is safely administered by placing the electrodes from the LIDC instrument onto the surface of the skin. A very small amount of electric current flows in one direction to the site and creates a magnetic field around the wound. This creates an effect known as galvanotaxis, which causes fibroblasts and keratinocytes to travel to the wound and begin to heal tissue upon reaching the damaged area. In studies, this effect has been shown to increase the rate of healing by 100% to 150%. It also makes the resulting scar tissue more resistant to future damage. In addition, LIDC has antimicrobial effects. In two studies, patients who received LIDC experienced no infections and less discomfort at their wound sites. Typically, treatment is administered for 60 minutes each day until the wound is healed. Cranial electrotherapy stimulation (CES) is another type of electric procedure approved by the FDA when administered by trained physicians and health providers. In this treatment for depression, insomnia, and anxiety, electrodes that are placed on the ears send a small electric current into the brain. This deactivates certain portions of the brain, which mitigates symptoms of neural imbalance and hyperactivity by controlling neurotransmitter release and neuron signaling patterns. 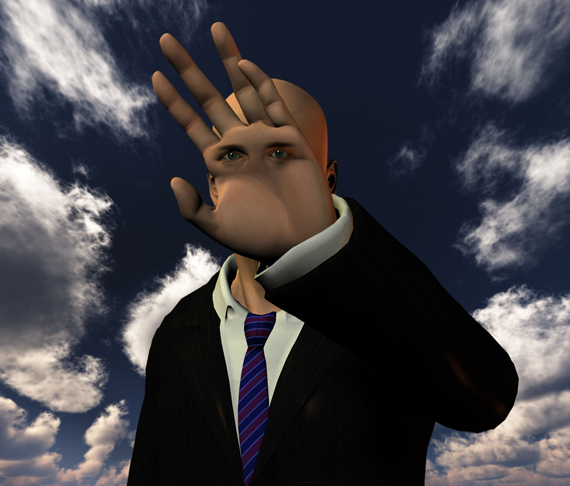 This deactivation has also been shown to reduce the pain symptoms of fibromyalgia. Patients using CES devices report that they experience a decrease in chronic pain, and MRI scans confirm that this is due to a deactivation of pain signaling in the brain. Fibromyalgia patients using CES have been shown to experience a 28% reduction in tenderness, a 27% reduction in pain intensity, and a 55% improvement in quality of sleep. Similarly, patients who use CES therapy for spinal cord injuries report a significant decrease in pain intensity. 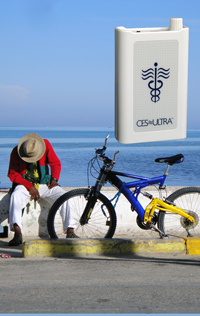 CES has also been used to treat the symptoms of alcohol withdrawal. Studies show that CES can help alcoholics to reduce their alcohol consumption as well as the stress and depression associated with quitting. The treatment plan consists of daily 30-minute sessions over a period of four weeks. Additional studies indicate that the calming effect of CES also reduces anxiety symptoms in alcoholics. This discussion of electrotherapy comes with two important caveats. The first is that home use electrotherapy mats are not proven to be effective at relieving soft tissue pain. The pain relief described here is a result of direct current being applied to the brain by clinical CES devices that are operated by physicians. Mats are not shown to achieve this result. The second important note is that CES shuts down parts of the brain. This makes it an effective method for relieving symptoms, but like medication, it is not a cure or remedy. The advantage that CES has over medication is that CES does not elicit side effects. As FDA-approved treatments, LIDC and CES are available at clinics that specialize in trauma therapy and rehabilitation, and are likely to be covered by most insurance companies. Natural Health Advisory Institute has a searchable physician or practitioner directory where those practicing electrostimulation therapy can be located. This entry was posted in addiction, Alternative Health, CES Research, CES v. Drugs, Chronic Pain, Depression, PTSD on June 23, 2016 by cesadmin. Depression in adulthood remains a common and often under-treated condition. Depression can occur at any age, but it typically emerges in the mid-20s. Women experience depression twice as frequently as men, and symptoms can vary from mild to severe. Major depressive disorder, which may be diagnosed when depressive symptoms last for 2 weeks or more, is understood to occur in 15 to 17 percent of the population. Symptoms of major depressive disorder can include a depressed mood, loss of interest and enjoyment, reduced energy, increased fatigue, diminished activity and reduced concentration and attention. These and other symptoms, particularly when prolonged, impair a person’s ability to function in day-to-day life, making effective treatment essential. Research continues to improve our knowledge about the impact of depression on our ability to process information and the underlying processes in the brain that are associated with depressive symptoms. With increased information, psychologists and mental health professionals have made significant progress in identifying effective treatments. A combination of cognitive behavioral therapy and medication has evolved the most effective treatment to date. However, it is not fully understood exactly how and why antidepressants work. And despite significant advancements in medications, treating major depressive disorder remains a challenge. Although medication helps, it can be costly and produce troublesome side effects. Noninvasive brain stimulation, such as CES have been increasingly investigated for the treatment of major depression. You can use the CES Ultra while still on your medication. In fact, don’t go off your medication until your doctor says so. With the CES Ultra, you also have personalized telephone support to ensure that you get the full relief and results. CES has no withdrawal symptoms, as most drugs do. Explore its possibilities today. This entry was posted in Inflammation and tagged cesultra, cranial electrical stimulation, depression on June 15, 2016 by cesadmin. The statistics are even more shocking for anxiety disorders, with 28.8% of the population reporting a serious episode within the past year. It is no wonder that mental health care is such a booming industry. In 2014, the United States alone spent $179.4 billion dollars on mental health care, and that number is expected to reach over #238 billion dollars by 2020. With more money being spent on mental health than ever before, it begs the question: Why are people not getting better? Common psychiatric mood disorders, such as anxiety, depression, and insomnia, are the result of trauma in the deep structures of the mid-brain associated with neurochemical imbalances. Those diagnosed are often treated with psychotropic medications, “talk” therapy, and in some extreme cases, ECT (electroconvulsive therapy). Psychotropic medications have a myriad of side effects, and have often proven to be more detrimental than beneficial to the patient. Cognitive behavioral therapy, or “talk therapy” has inconsistent, unproven results, and treatment is rarely completed by the patient. ECT has been shown to quickly reverse symptoms of certain mental illnesses, but is costly and can often involve a lengthy recovery period and various side effects. Most treatments for mental illness address the symptoms of the disorder, rather than the underlying issues, keeping patients dependent on medications that do not work. This entry was posted in Alternative Health on June 10, 2016 by cesadmin. Medications affect levels of neurotransmitters, or chemicals such as serotonin, norepinephrine or dopamine, naturally present in the brain (within or between nerve cells) known to affect how we feel, think and act. Electrical stimulation and magnetic fields induce currents that change the way that brain cells, called neurons, fire. In other words, medications work on molecules and brain stimulation works on cells. 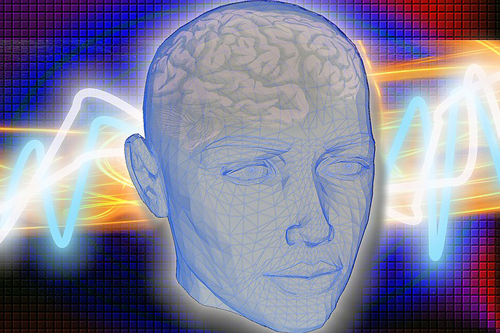 Brain stimulation, notably, has no known interaction or effect on medications a person may be taking, unlike most other treatments we have. Neuroscientists and psychiatrists have been searching for alternatives to pills for centuries because too many individuals do not fully respond or have side effects and medical complications from the medications so far developed. Interest in electrically stimulating the brain dates back to the 1930s when Italian scientists developed a means of inducing a brain seizure by applying an intense electric current to the scalp – which we now call ECT. While ECT remains an important treatment today for those individuals whose condition, especially severe depression, does not respond to medication and therapy — it does require anaesthesia, produces at least short-term memory problems, frightens many people, is costly and is often transitory in its effects. Hence, the search for alternative means of improving brain functioning in people with psychiatric disorders. Remarkably, over 60 years ago (1949) scientists in the (then) Soviet Union began applying a very low voltage alternating current to stimulate the brain, CES or cranial electrical stimulation, which they called “electrosleep” to treat insomnia (cranial refers to the skull or cranium, where the electrical leads are placed and the scalp stimulated). This treatment does not deliver any where near the electrical current needed to induce seizures. The repertoire of brain stimulation techniques grew in the mid-1980s when magnetic fields were applied around the cranium to stimulate the brain, a technique knows as TMS, or transcranial magnetic stimulation. More recently, brain stimulation has been done surgically by deep brain stimulation (DBS) and vagal nerve stimulation (VNS), which were first used for neurological conditions such as epilepsy and Parkinson’s disease, then adapted for psychiatric conditions. Of all the brain stimulation procedures available recent interest has been greatest about CES and TMS. ref. : HP / LLOYD I. SEDERER, M.D., is Medical Director of the New York State Office of Mental Health (OMH), the nation’s largest state mental health system. This entry was posted in Inflammation on June 9, 2016 by cesadmin. Looking to stop smoking? Having problems with medication such as Chantix? We just received this unsolicited testimonial form a happy CES User. You may not have the same results, but isn’t it worth a try? This entry was posted in CES v. Drugs, What they tell about CES Ultra and tagged ces ultra, stop smoking without medication on June 5, 2016 by cesadmin.